Kuala Lumpur, Malaysia is full of fun and surprises. It’s a melting pot of cultures and people from Asia much like the U.S. is for the Americas. My family has had a jam-packed schedule since we arrived here with enough to keep us busy every hour of the day. In a few days we leave for Kota Bharu in the north of Malaysia for a businessmen’s banquet much like the many banquets we’ve been doing here in KL. Businessmen are often incredibly successful in money matters but family is a challenge. We’re here to encourage the balance they need to make their families strong. Hundreds have already received freedom and balance that only comes through Jesus Christ. We made a trip up the Petronas Towers this past week and caught a view of the city like none other. Petronas is an Islamic oil company over here that endeavored to build the tallest building in the world. They were successful until Taipei 101 was built shortly thereafter (just a little fact for my fact-loving readers). 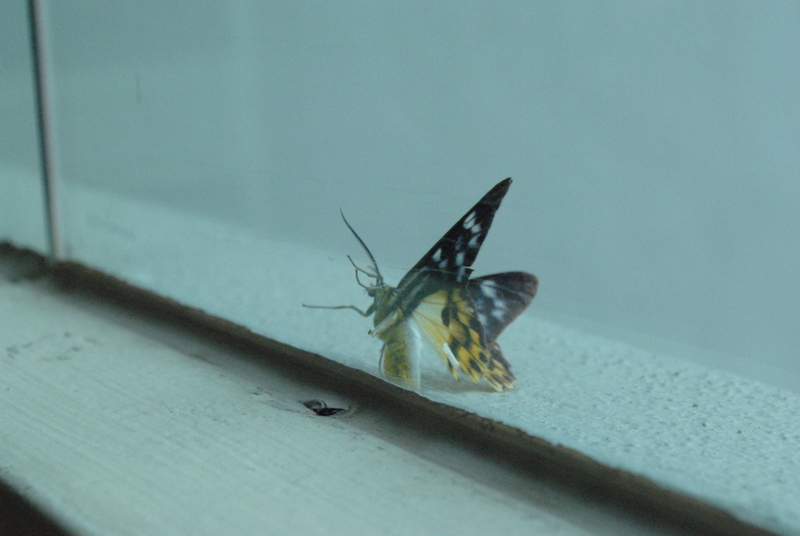 In the towers, I was amazed to see that a butterfly was flying against the window all the way up there. How it got there, I have no idea but it was just as much a novelty to me as the city view. The fun touristy stuff we did with a group of new friends from Australia and a girlfriend visiting us from Hong Kong. As of right now, we’ll be with our new friends from Australia again in Surfer’s Paradise on the Gold Coast for several concerts in September. Our schedule for the fall has gotten tighter since we arrived in Asia three weeks ago. We’ll be back in Malaysia when we come back later this year, Singapore, Indonesia, and Vietnam also. At the close of 2011, we will have barely been home in 12 months. 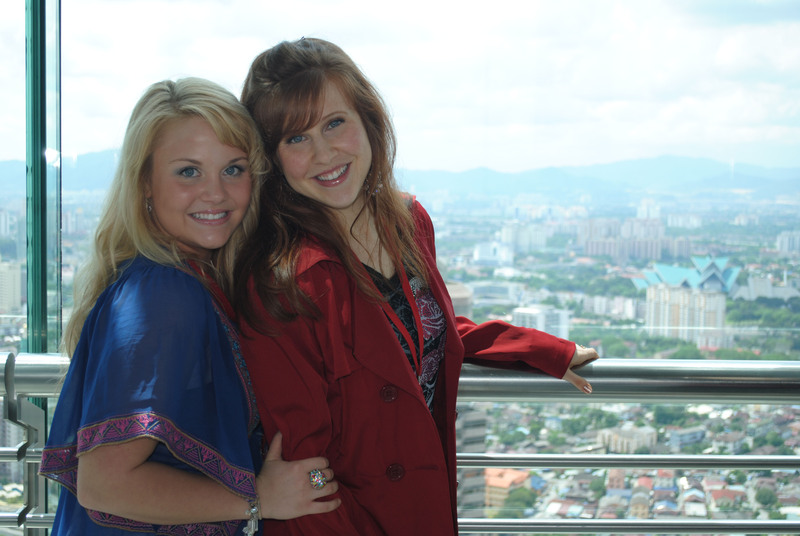 The mere fact that we’re in Kuala Lumpur for the third time in a little more than a year is a miracle in itself. 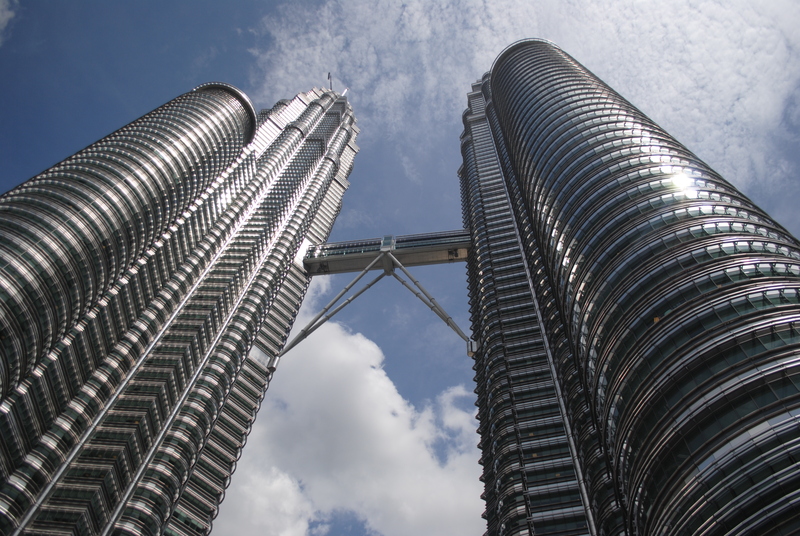 Our trip to the Petronas Towers got me thinking. Just like the airplane that got us here and the business that built Petronas, neither would have gotten two inches off the ground without fuel. In the same way, my family wouldn’t be here experiencing the miracles we’re watching unfold without faith. It’s the jet fuel for spiritual movement. I’ve also realized what a major transformation it requires in one’s heart and mind to be able to operate at this kind of “high speed.” Whether you’re at home, surrounded by comfortable accomodations and people you understand or popping in and out of countries that you’ve never seen before and know little about, faith is a kind of flexibility and trusting that God has the answers you don’t and control of what you can’t manage. Sometimes we just have to do what God tells us to do, even if it’s tough and requires a lot of discomfort or inconvenience to us (which will be most of the time). “I’m just not comfortable with that” is a lame reason for lack of action. In fact, we should be worried about where we’re headed spiritually if we’re not uncomfortable. Operate only within comfort and you WILL miss the best destiny you could ever have for your life. This has come clearer to me since we left the U.S. a few weeks back. I was in shock this weekend when we shared with a group of 3,000 people here in Malaysia about good choices and choosing innocence, how open they were to a very pointed, very in-your-face message from my family. Usually, we’re bold but gracious in stating standards over here because the people value gracious speech and accommodating gestures. Following the earthquakes, however (the one in Japan and Myanmar), our feelings of urgency quadrupled concerning the importance of shaking people up on the inside so that when the world outside falls apart (and it will) people have hope they can hold onto and a source of answers. NOW is the time to live like the new creation God wants us to be. A big part of our faith in Jesus Christ is simply learning to get over ourselves and our own ideas about what’s best for us. Quite frankly, we don’t know what’s best for us until we follow Romans 12:1 and initiate some serious transformation. It’s time to get uncomfortable and make some changes. This has become increasingly the story of my family’s life. First of all, international travel is NOT a walk on the beach. It’s a privilege but, as is always the case, with every honor comes responsibility. The greater the honor, the greater the responsibility. Secondly, if you take the responsibility seriously, it’s just plain humbling because one can not and should never feel like they deserve either the responsibility OR the privilege. I’ve talked to women in Burkas this week, worn a new set of Indian clothes that would look bizarre if I ever tried to wear them in the U.S., been invited to stay with a couple in Iran, and told thousands of people to clean out their video cabinets and music libraries and start meditating on “Whatever is true, whatever is noble, whatever is righteous, whatever is pure…” The intensely self-aware, people-fearing girl I was a few years ago would have been freaked out by all that has become common-place to me now. When God talks about us becoming a “new creation” in Jesus Christ (2 Cor. 5:17), I’m reminded of the butterfly in the window of the Petronas Towers 40 stories up. The transformation a butterfly undergoes in its lifetime isn’t just awesome; it’s beautiful -phase two of life for them is better than phase one as a worm. This is what we need. Not a different hairstyle, different clothes, or a change of scenery but a change from the inside out – attitudes, beliefs about ourselves and our relationships, our way of talking, dressing, and living confidently for a purpose that’s way bigger than us. That butterfly couldn’t have crawled up 40 stories as a worm in one lifetime; it requires wings. The only way we get the wings or jet propulsion to achieve anything of value with our lives is to die to our own selfish desires and live in total trust of Jesus Christ. It’s not an easy way to live but my family wouldn’t trade it for anything. This entry was posted in Renewed Thinking, Travel Journal. Bookmark the permalink. I haven’t seen you guys yet!!! when are you guys freeeeee?? Hey Brittany! Not sure if you remember me, but we spoke briefly at Metro Tabernacle after service on Sunday, firstly in the dark backstage but we later walked towards the stage and out the sanctuary 😉 Anyway, you told me that your friend’s name is also Adeline? Haha. Hopefully I have managed to refresh your memory. Anyway, this post is thought-provoking. Thank you for sharing your thoughts and also encouraging me in my walk with the Lord. This weekend with you Jacksons has definitely been a life-changing one for me. Thank you again! Of course I remember! Thanks for reading.